While we love a good G&T as much as the next person, sometimes in life you have to give up the alcohol and look for an alternative. Whether doing Dry July, trying to get into shape or expecting a new addition to your family, skipping out on the champagne doesn’t mean you have to skip out on the fun. More and more alcohol-free substitutes are springing up on the market, and An Elegant Fusion provides fun pop-up events around London where you can try a whole variety in one place. 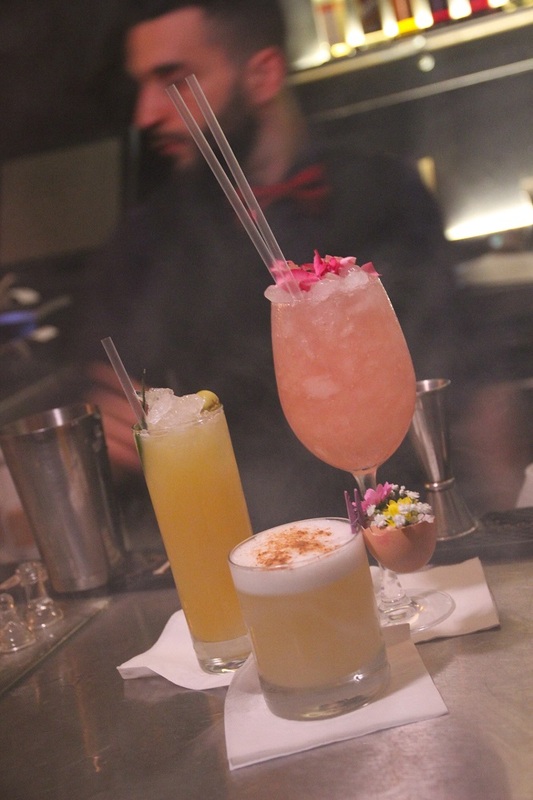 We recently went along to one of these alcohol-free evenings at Looking Glass Cocktail Club in Shoreditch, where there were loads of opportunities to try different beverages, as well as an extensive mocktail menu. When you say ‘mocktail’ to us, our mind automatically runs to a paler version of a mojito without the rum, or perhaps some fruity concoction laden with sugar. Rather than trying to imitate classic cocktails without the alcohol though, these base pours instead substitute the alcohol and add to the overall taste of the drink. 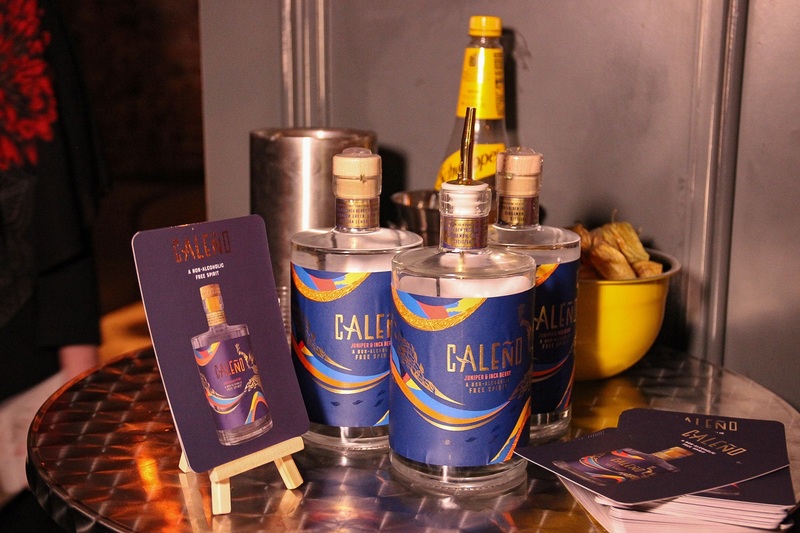 Our pick of the alcohol-free spirits on offer was Caleno, a fruity base inspired by creator Ellie’s Columbian background. In terms of beverages, the Pimento, a spicy ginger beer, gave our night a kickstart. If we had to choose a favourite from the mocktail menu, the Tickle Me Pink definitely topped the list. Made using Outfox Rose, watermelon juice, rose water, lemon juice, watermelon and apple spritz and garnished with rose petals, it tasted like a musk stick and looked almost too pretty to drink. Keep an eye on An Elegant Fusion’s socials (Instagram and Facebook) if you want to treat yourself to a guilt-free night out at one of their upcoming events. A blog by Melissa Zahorujko & Kristen Byass.👯‍♀️ Best friends & Australian blogger duo exploring London & the world.📍 From Adelaide, living in London.